It’s been so long since I’ve done a Monday Manicure post, I’ve seriously been contemplating renaming these posts Nail du Jour and just calling it a day (whatever day that happens to be). But YAY! It’s Monday and I’ve got my life and my nails together enough to share. Behold, my current manicure! Got my nails done at one of my favorite little lowkey nail spots last week, and I chose a combination of Essie Mesmerize and OPI Save Me from the Nicki Minaj collection. Lately I’ve been obsessed with nails that look like nebulae and these colors gave me the look I was looking for. That Nicki Minaj Save Me is a fun silvery glitter with different shapes and textures of glitter, but it needs to be layered over a dark opaque color to truly pop. I love the cobalt/silver combo. Makes a great transition shade from summer bright to fall glam! August is drawing to a close, my inbox is filling with back to school press releases, and there’s a distinctive chill in the air. Fall is drawing near and already some of the sweetest fall nail colors and collections are beginning to emerge! 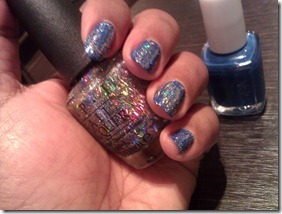 Let me tell you what I’m most excited about in upcoming nail stuff! I am HERE for this collection. It’s all mystical crystal ball color shifting chrome finish everything and I want EVERY last COLOR. Especially No Plain Jane, Want My Bawdy and Deviantly Daring. You know I’m a FOOL for purple and the Midnight Roses fall collection – which is out at counters now – does NOT disappoint! Lancome has ALL the hot purple lip colors and the nailpolish is a stunner. Vernis in Love in Infusion de Prune will run you $15, and their new Vernis In Love Top Coat Mat in Givre Magique is a $15 top coat for a matte finish on any nail polish. The Orly collection will be out in September and it’s very traditionally autumn. If you’re into wine, gold, rust and red, this is gonna be calling your name. I also ADORE their Flash Glam FX glitter collection. SO HOT. 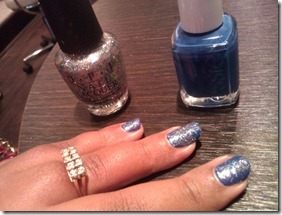 Zoya has the NYFW 2012 nail collection thang on LOCK with three different collections out in time for New York Fashion Week! This here is the Diva collection. My personal fave – Daul – is CALLING MY NAME. “An enchanting red-toned purple with heavy purple and gold iridescent metallic sparkle that gives a dream-like effect.” I need you NOW, Daul. 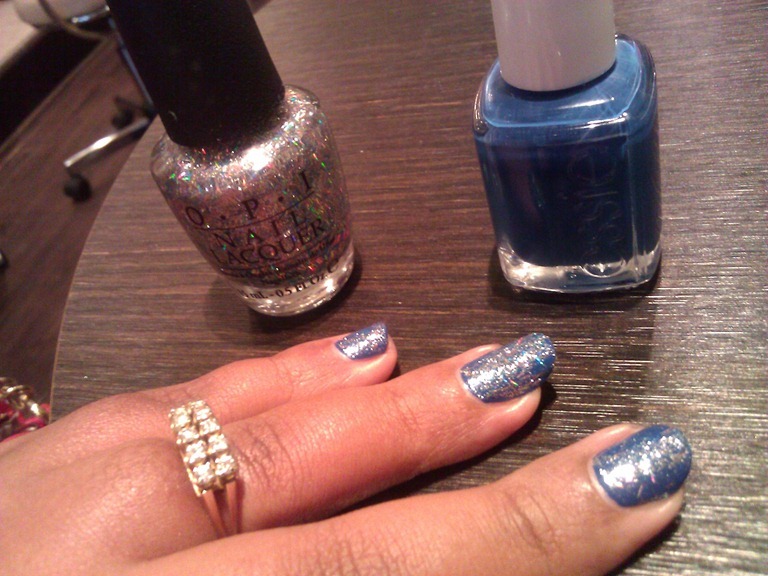 Y’know, there’s a LOT more on QVC to shop for besides my fashion picks – QVC is NO slouch in the nail department! 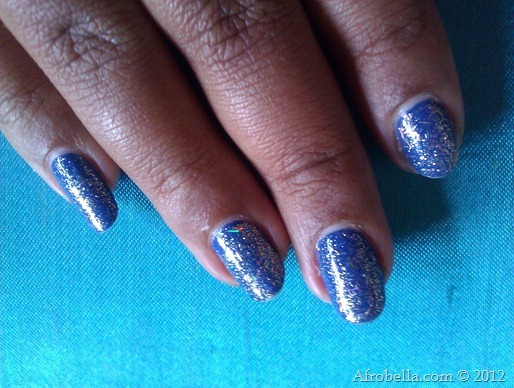 You can get brands like butter LONDON, Sephora by OPI, and Pro Strong. I’m personally most obsessed with Mally Beauty’s at home gel manicure sets – I’ve been all the way turned out by no-chip manicures and the prospect of doing my own at home is TEMPTING. It’s $165 on Mally’s official site. What are your fall nail favorites? See anything you want, need and gotta try above, bellas? « How Do You Do Hair Removal? I miss wearing nail polish so much (can’t wear it because of work, booo!!). 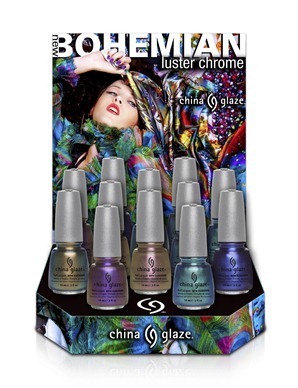 I like those China Glaze polishes so I may buy a couple if I see them in stores. That Lancome shade and bottle look gorgeous but I don’t see myself spending that much for something I can’t wear often. I love your mani! The China Glaze collection is nice, I picked up 2 of the shades. I love glitter nail polish but its such a pain to get off. Love the colour selections. Your mani is gorgeous. I recently purchased one of the new fall colors by OPI. It’s a rich purple color(don’t remember the name). Now I have to go find the Nicki Minaj collection. I read your blog several times a week; you always inspire me to try something new. Because of your blog, Ulta’s and I have a closer relationship. They see me much more often now. You are really good at what you do. Thanks for this blog. This post is excelent, i seek all for my nails.Teresa J.
you think that with blizzard eating at least a thousand a month that they’ crank out more content quicker. Yes I know that running servers is expensive, however I doubt that blizzard isn’t consuming at least 30% with the sub fees as accurate profit. Great game though I’d admit and while I miss playing it in my friends, I also missed all of 2007.
it very troublesome to tell the reality however I’ll surely come again again. I know I am getting experience daily by reading such pleasant posts. Nous le passons tous dans notre lit, mais ce pourquoi gâcher cette journée alors que nous avons plein de temps devant nous. Il est parfois difficile de trouver quoi faire le dimanche. Maintenant vous n’avez plus d’excuse pour restez au lit le dimanche.